ready to give you a great new style. Do you need a new style? 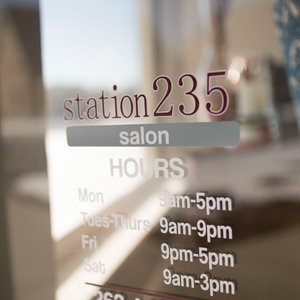 Come into Station 235 Salon to experience a relaxing salon environment. Our team of talented salon professionals are dedicated to making you look your best. We offer a variety of services for women, men and children. We use only the best products to ensure you have a long-lasting style that you love. Let our team at Station 235 Salon transform your look. Located just a few blocks away from beautiful Pewaukee Lake, our welcoming salon environment will allow you to take a little time for yourself. Give us a call today!